[info] Starting ping health check on mysql-server1(192.168.1.116:3306)..
[info] Ping(SELECT) succeeded, waiting until MySQL doesn't respond.. Creating /var/log/masterha/app1 if not exists.. ok.
[info] HealthCheck: SSH to mha-server1 is reachable. * Phase 1: Configuration Check Phase..
* Phase 2: Dead Master Shutdown Phase..
* Phase 3: Master Recovery Phase..
* Phase 3.1: Getting Latest Slaves Phase..
* Phase 3.2: Saving Dead Master's Binlog Phase..
* Phase 3.3: Determining New Master Phase..
[info] Finding the latest slave that has all relay logs for recovering other slaves..
[info] All slaves received relay logs to the same position. No need to resync each other. * Phase 3.3: New Master Diff Log Generation Phase..
* Phase 3.4: Master Log Apply Phase..
* Phase 4: Slaves Recovery Phase..
* Phase 4.1: Starting Parallel Slave Diff Log Generation Phase..
* Phase 4.2: Starting Parallel Slave Log Apply Phase..
* Phase 5: New master cleanup phase..
[info] Switching master to mha-server2(192.168.1.117:3306) completed successfully. Hope you found this quickstart guide useful for your own tests. Remember, one of the most important things: don’t overdo automation! 😉 These tools are good for checking health and performing the first initial failover. But you must still investigate what happened, why, fix it and work to avoid it from happening again. 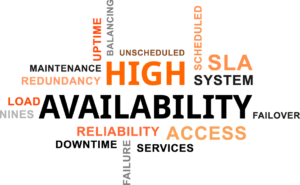 In high availability (HA) environments, automate everything and cause it to stop being HA. A nice write-up on MHA. I looked at MHA some time ago and found it to work quite well. Setting up the required ssh and MySQL access was more of a nuisance especially if the number of servers grows, but the main thing that put a brake on MHA was the fact it could not fix broken intermediate masters. That is if the topology is only a master with directly connected slaves everything is ok. If you have a master connected to an intermediate master which has a slave MHA can not handle this, or that’s my recollection. Perhaps it has changed now. If you have servers spread over multiple datacentres then it is much more likely that intermediate masters may exist, and that’s also true if you migrate from one version of MySQL to another (major one) and can not take downtime. In that situation you’re likely to have a new intermediate master of the higher version running under the older master and this new master will have slaves of the newer version. This lead me to look at Orchestrator which is able to resolve the issues mentioned and also only requires MySQL access to the servers to do its work. Percona have had a couple of blogs on Orchestrator so that’s covered elsewhere but I think this “limitation” I saw in MHA if it is still present should be mentioned. Simon, Thanks for the post. We are going to give Orchestrator a run in one of our environments seeking to replace MMM Monitor. Please help me to understand the limitation of MHA . Can we install MHA manager on all nodes? I know it is recommended to install it on SLAVE host only. But what is the side effect if we install it on all node (including Master node). This can help us to initiate the switchover from any node.